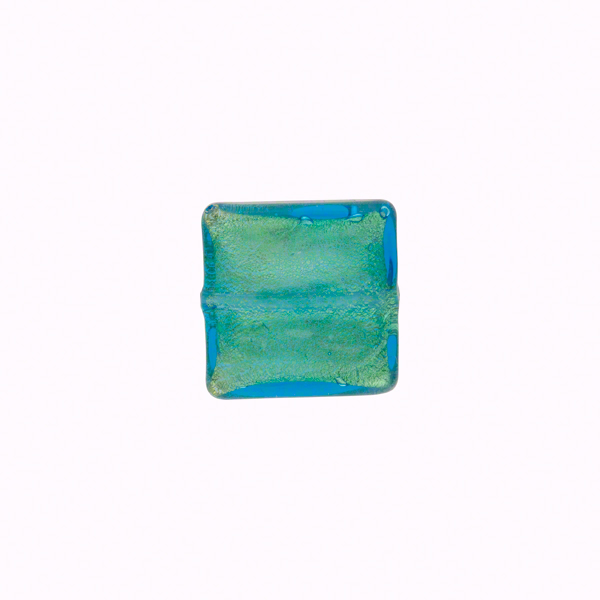 This is a small 10mm square Murano Glass bead with a vibrant aqua over 24kt gold foil. These beads measure about 10x10mm with a 1mm hole which runs through the center. It is a good size for accent beads, charms or even very dainty earrings.